It is not possible for a woman to have too many hair accessories. 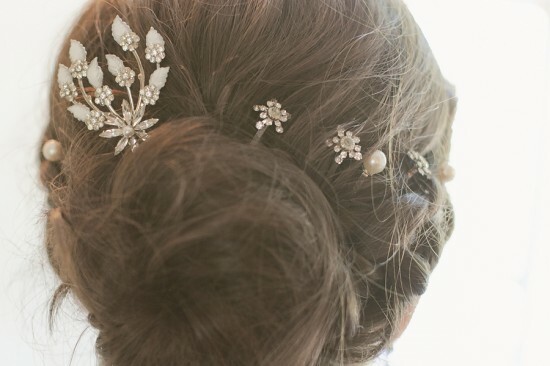 Trendy hair accessories can turn any boring hairdo into a glamorous hairstyle. There’s a variety of trendy hair accessories to choose from. A very simple way to add style to almost any hairstyle is to wear a headband. Headbands are also quite functional, since they prevent hair from falling on your face. For your collection of trendy hair accessories you can get a few wide headbands with decorative elements like ribbons, crystals or feathers. This is a great way to show off your personal style. You can use a headband either to hold your hair back or as a decoration with a few hair strands left to linger on your forehead and the sides of your face. You can also use scarves as headbands. Fashionable hairstyles tend to leave hair a bit messy to create a carefree look. To this type of hairstyle you can also add a few trendy hair accessories like hair sticks or large hair pins. You can forget about the strict hairdos. Use trendy hair accessories to decorate your hair. Hair pins with crystals can give you a glamorous and a bit naughty look. You can find trendy hair accessories for special occasions as well. Since vintage side-swept waves are back in fashion, you can easily hold them in one side with a sparkling barrette. This will give you a glamorous retro look. Choose a color that will stand out to add an interesting accent. In this case, it would be better to keep the rest of your accessories to a minimum; otherwise it will look too flashy. You may also choose a hair clip with flowers. There are lots of trendy hair accessories available for any hairstyle. Many of them feature crystal decorative elements. Add a little playfulness to your everyday appearance or glamor to special-occasion hairstyle.